There’re few feelings able to surpass that of catching one of Pokémon’s rarest monsters, but it takes an astute and dedicated trainer to do so. You may start off with a limited knowledge, but through hard work, and hours of battling and exploring, you too can be the very best. We here at God is a Geek have put together some tips to help newcomers to the series get the most out of Nintendo’s fantastic Pokémon: Let’s Go, and hopefully with a little practice you’ll be able to succeed out there in the Kanto region. There’re lots of different types of Pokémon, and learning which ones are susceptible to damage or capable of causing a whirlwind of hurt can take time. Each Pokémon has a base type, such as Fire or Electric, and it’s vital that you know which one of your little monsters is going to do the most amount of damage in a fight. For example, water-based Pokémon like Squirtle or Lapras are going to be great when taking on Charmander or Vulpix due to them being fire types, but if you go against electric Pokémon, you’re going to struggle. Some of it is common sense; water conducts electricity, so naturally Pikachu would cause a lot of damage to a Magikarp, but if said Magikarp was to attack a Growlithe, you’ll have much more luck. The real challenge is learning about various types such as Psychic, Fairy, and Ghost because it’s not as obvious how they’ll react against certain situations. 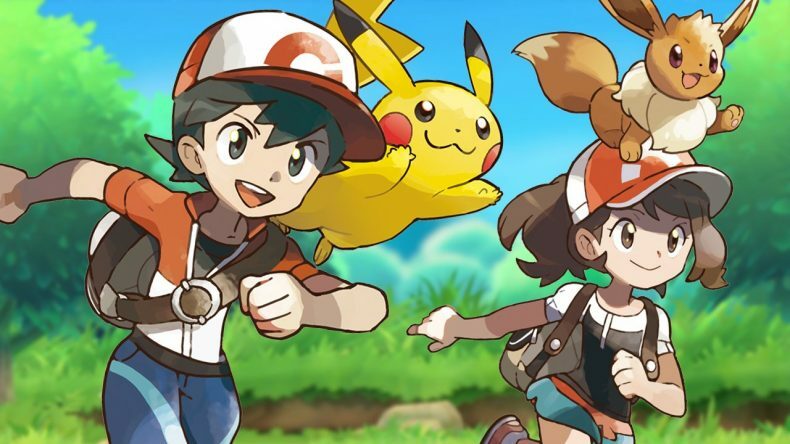 Pokémon: Let’s Go differs greatly to all the other Pokémon games because you don’t fight wild Pokémon anymore. Instead, it’s the various trainers and mischief makers that inhabit the world that’ll challenge you to a fight. It’s important to fight as many people as you can, and even if you think a simple battle with a Bug Catcher might be inconsequential, it’s not. Firstly, they’re a great way to try out newly caught Pokémon, and as mentioned in the previous tip, you can see whether your Psyduck or Bellsprout is strong against a Drowzee or not. Secondly, each fight grants EXP to all the Pokémon in your party, and you need as much of the stuff if you’re going to beat the Gym Leaders. Going into a big fight without a party of adequate monsters can be mightily frustrating, so try not to run away when someone challenges you out there. It may seem pointless catching your fifth Pidgey or your sixth Ratata, but it really isn’t. Catching as many Pokémon as possible makes the world of difference, and you are rewarded in many ways for doing so. Whenever you catch a Pokémon, your whole party earns EXP, which means they become more powerful in time as well as learning new moves, and a better chance of evolving. You can also exchange Pokémon for Candy, and once given to party members can increase their stats. On top of this, there’re special opportunities to gain a Squirtle, Charmander, or Bulbasaur with amazing stats. For example, there’s a police officer in Vermillion City that will give you a Squirtle if you’ve managed to catch 60 Pokémon. 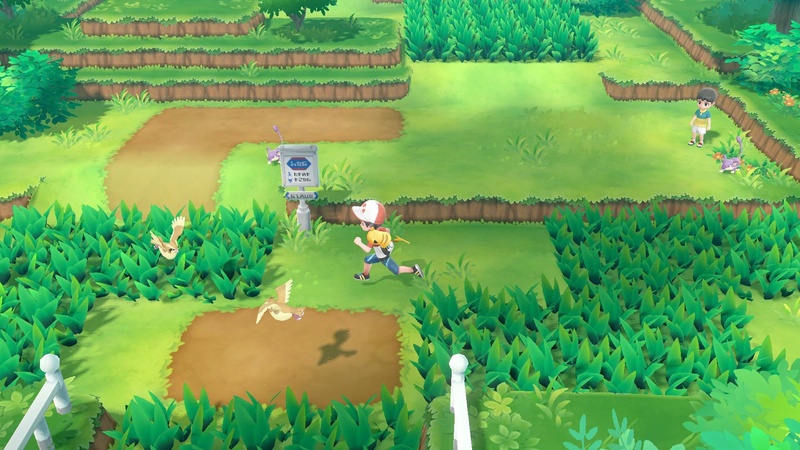 Lots of NPCs in Pokémon: Let’s Go waffle on about all sorts of things, but more often than not, they can offer important tips, give you exclusive trading opportunities, or give you items to help you on your journey. Don’t be afraid to walk into houses and speak with strangers, as it’s not like real life and they won’t call the police on you for trespassing; you may even get given a cool outfit for you and Evee or Pikachu to wear in tandem. 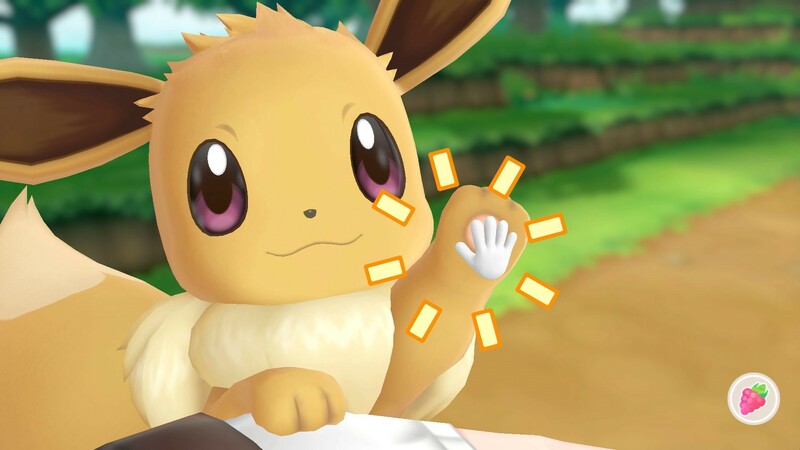 One of the most important things you can do in Pokémon Let’s Go is treat your party right. Healing them after battle, feeding the Berries, and fussing them with a tickle or a stroke will give you some much needing benefits when battling. I spent a lot of time fussing Evee in-between battles, and I found that when an opposing Pokémon dished out a lot of damage, Evee managed to cling on to one Health Point when most Pokémon would’ve just fainted. They become much more resilient, and in those quieter moments when you have that opportunity to fuss them a little, do so because it really does make a difference. When travelling around the Kanto region, your partner – whether Evee, Pikachu, or another – may notice a hidden item in certain areas. If they run off into a grassy patch or towards a rock, it’s likely that they’ve noticed something. There’re lots of items like Lures or Potions, as well as sellable items such as Pearls that they may have found, so paying attention to them can reap some pretty decent rewards. 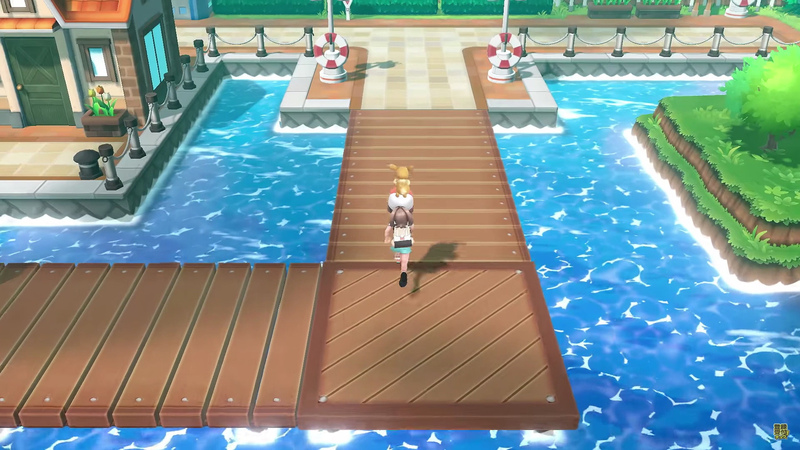 The Kanto region is a big place, and unfortunately there’re no cars in Pokémon: Let’s Go, however, there are rideable Pokémon. You’ll find that more Pokémon can be ridden than you may realise, and each one takes plenty of time out of your journey, meaning the back and fourth between different cities becomes less of a chore than when on foot. 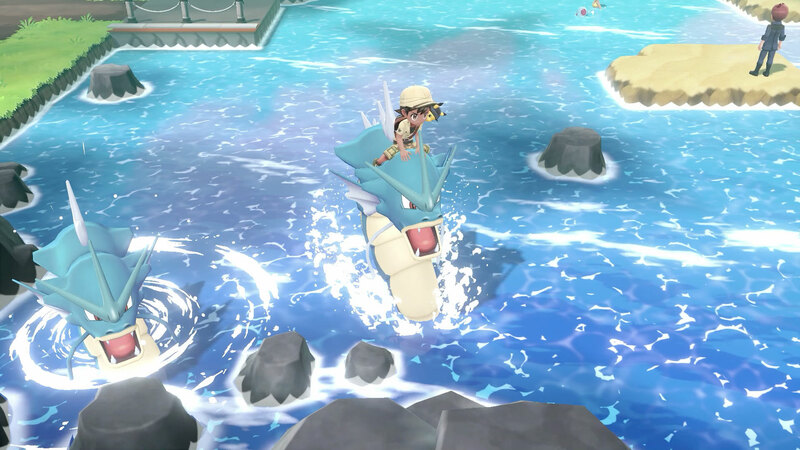 Whether it’s Onyx, Rapidash, Lapras or Ryhorn, catch the bigger Pokémon not just to use in battle, but to get around the Kanto region in style – at a speed much more satisfying. One of the coolest features in Pokémon: Let’s Go is having the ability to play with a friend. You can play through the entire game with someone else, but if you’re on your own it can still be beneficial to have another Joy Con close to you. If you’re playing through the game with the Poké Ball peripheral, shaking a Joy Con can have a partner join you. In a battle, shaking the Joy Con has a friend use a second Pokémon to aid you in battle, so even if you’re playing alone you can still use this as a way to make the battle easier. If you do want to play with a friend, they can use the second Joy Con to play through the game with you; it’s a great feature than can help you greatly on your travels. It’s not that difficult to get a steady cash flow in Pokémon: Let’s Go, and having cash to buy Poké Balls, Potions, and other important items is a fundamental but vital necessity. You earn money from Trainer Battles, and selling valuable items at Poké Marts also gets you money. As mentioned previously, your partner Pokémon may find sellable items hidden in the world, but there’re also NPCs that’ll offer you opportunities to earn a little cash. Whenever you visit a new Poké Mart, stock up on Poké Balls, but also spend some of that hard earned cash on Great Balls and Ultra Balls because they can be used when going after some of the game’s rarer Pokémon.